I’ve had some requests to share my skincare routine and as I promised, here it is! As I have gotten older I have realized how important a good skincare routine is. 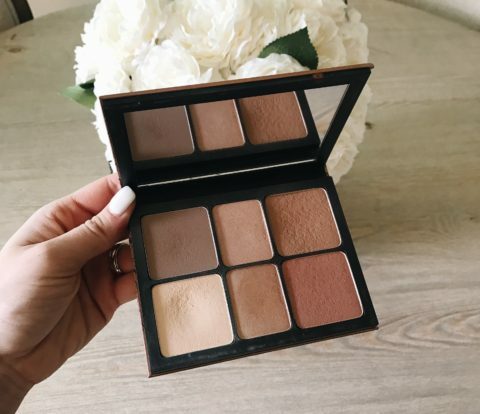 It also plays the biggest role in how your makeup is going to look on your skin. 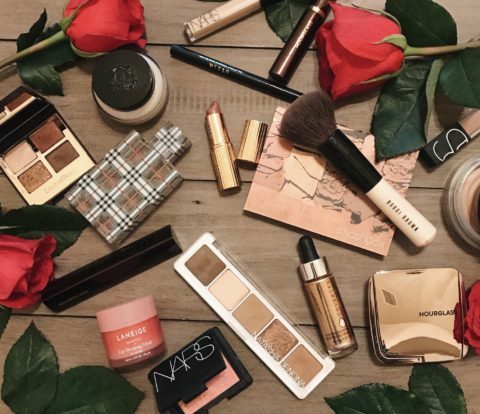 You could try the best foundation in the world, but if your skin is suffering underneath, it definitely won’t look like the best foundation in the world. I love trying new products, so my routine is ever-changing. But this is what my current routine is looking like! 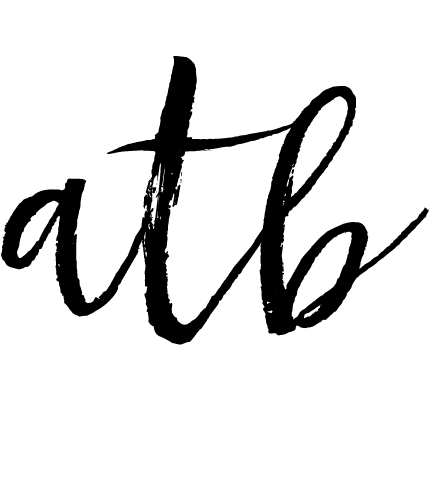 *One thing I wanted to share before I start rambling about all of these amazing products. 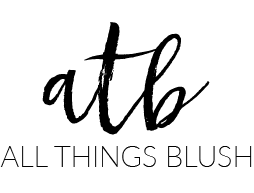 I began noticing a big difference in my skin once I started seeing an esthetician. 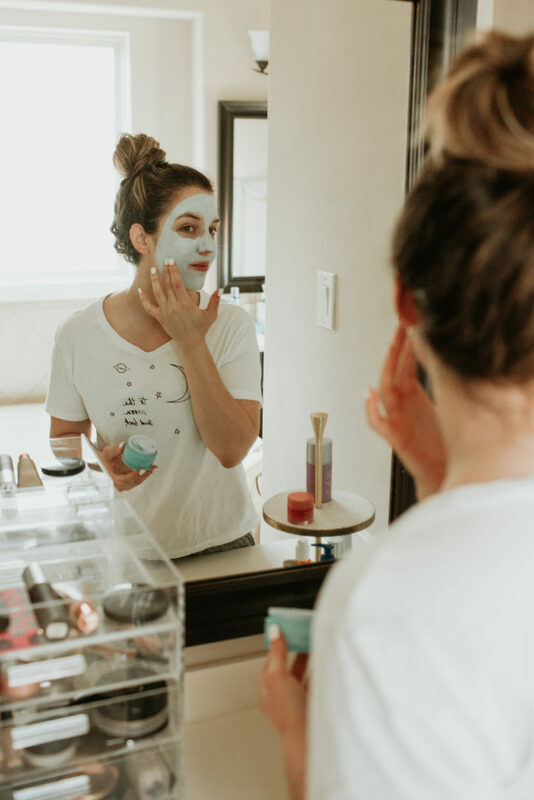 If you are wanting to really build a good regimen for yourself, I highly recommend making an appointment for a facial with a professional so you can learn EXACTLY what your skin needs. Once you know what types of products your skin needs, you’ll know what to try and not to try. I’m lucky because my sister is an esthetician! So I go to her for all my skincare questions. 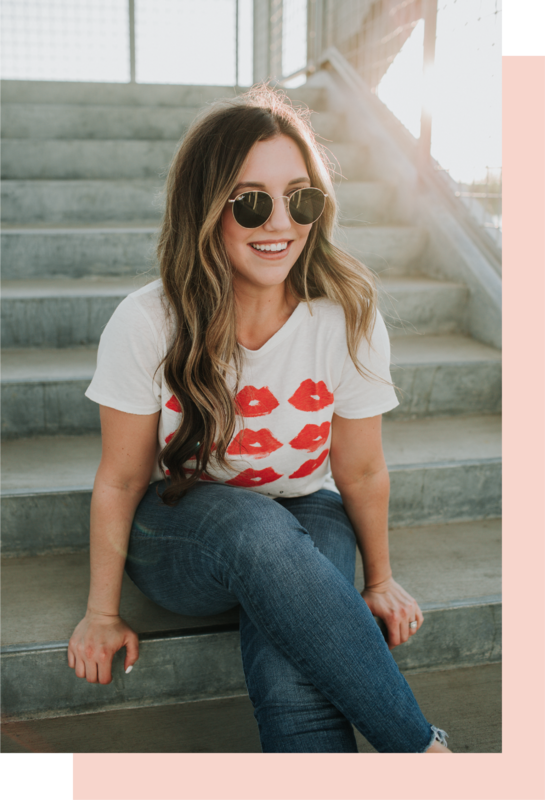 If you are in the College Station area, you should definitely make an appointment with her so she can help you build a skincare routine that works for you! Keep in mind that what works for me, might not work for you. 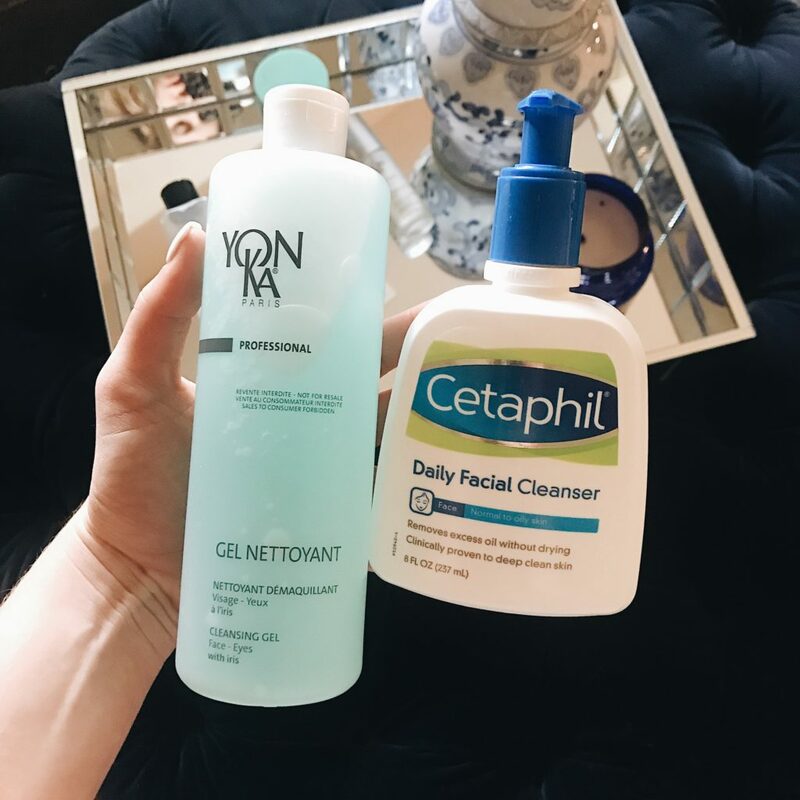 Morning & Night: I cleanse my skin twice a day with either Cetaphil or Yonka Gel cleanser. Cetaphil is a less expensive drugstore brand that is always recommended by dermatologists and is universal to all skin types. I always have this on hand specially if I’m out of my Yonka. 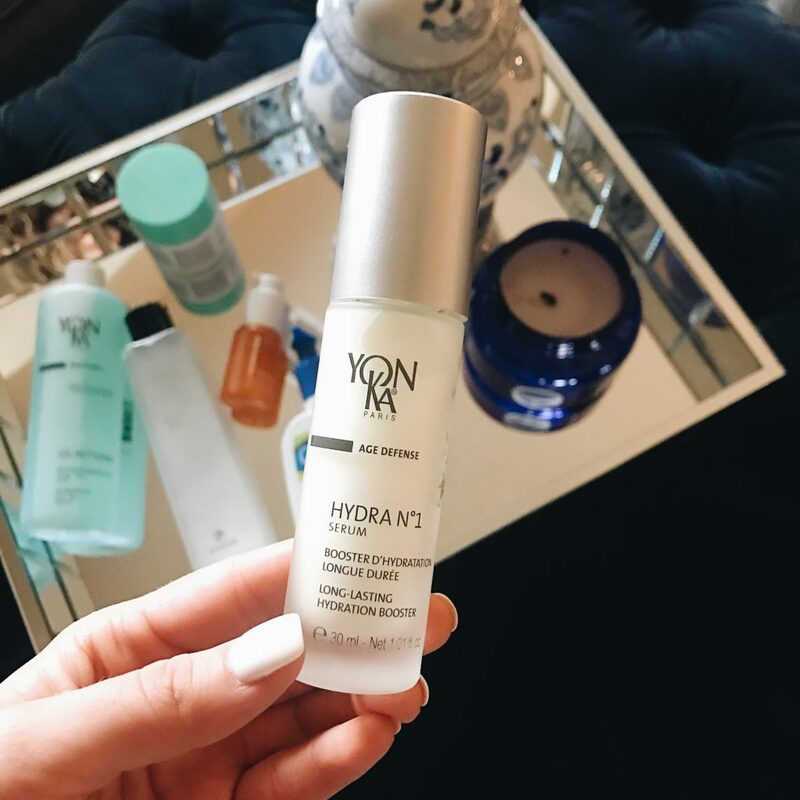 This Yonka gel cleanser is my all time favorite! Yonka is a European botanical skincare line with pristine natural ingredients that does not contain “fillers”. The salon that I work at carries this line and most people come to our estheticians because they use these amazing products! 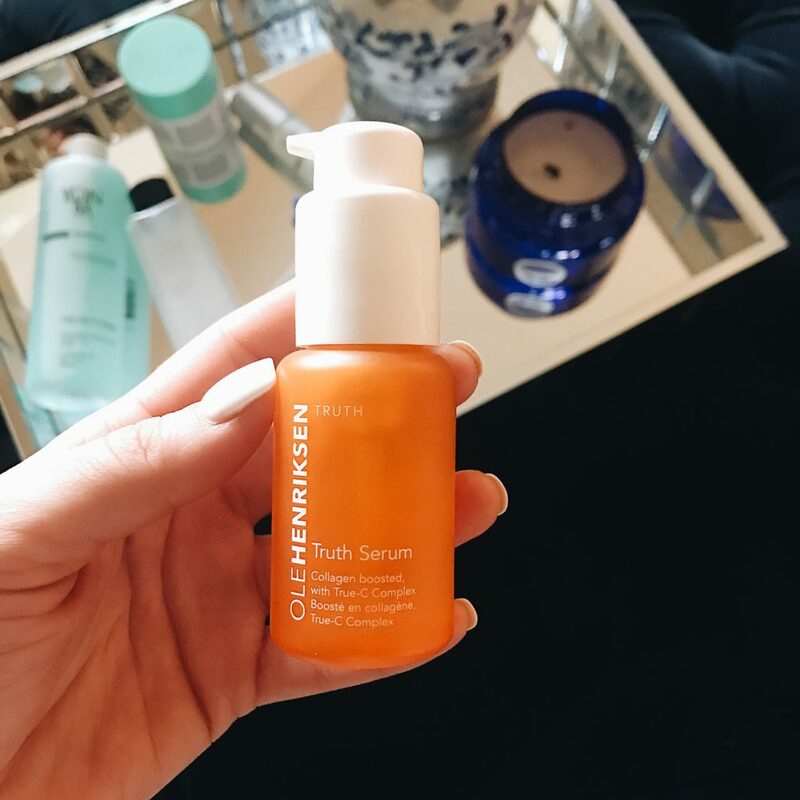 Morning only: After I cleanse my face I use this Truth Serum by Ole Henriksen. This serum is lightweight and soaks right into the skin. 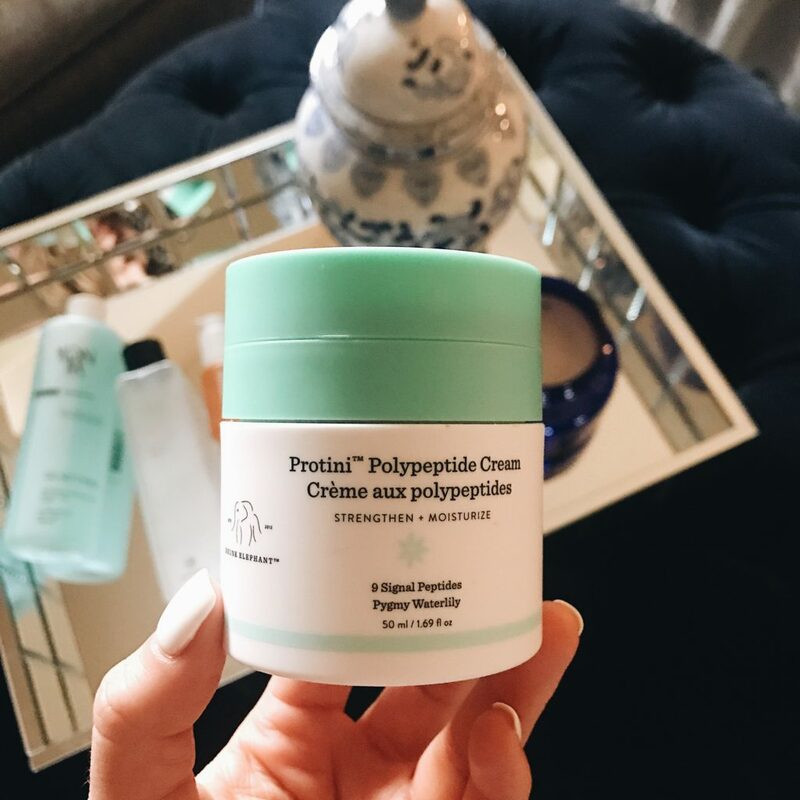 It’s anti-aging and formulated with vitamin C and collagen for a bright, all day hydration. They say it’s like a daily vitamin for your skin. It’s recommended for all skin types! Night only: After I cleanse my face at night, I follow up with this Beauty Water by Son & Park. This stuff has completely changed my skin! It is a toner that very gently exfoliates/removes impurities from the skin. But it also hydrates and makes the overall complexion of your skin look so beautiful! I love how smooth it makes my skin feel. Also, you get a lot of product for the price. This has lasted me over 6 months so far. 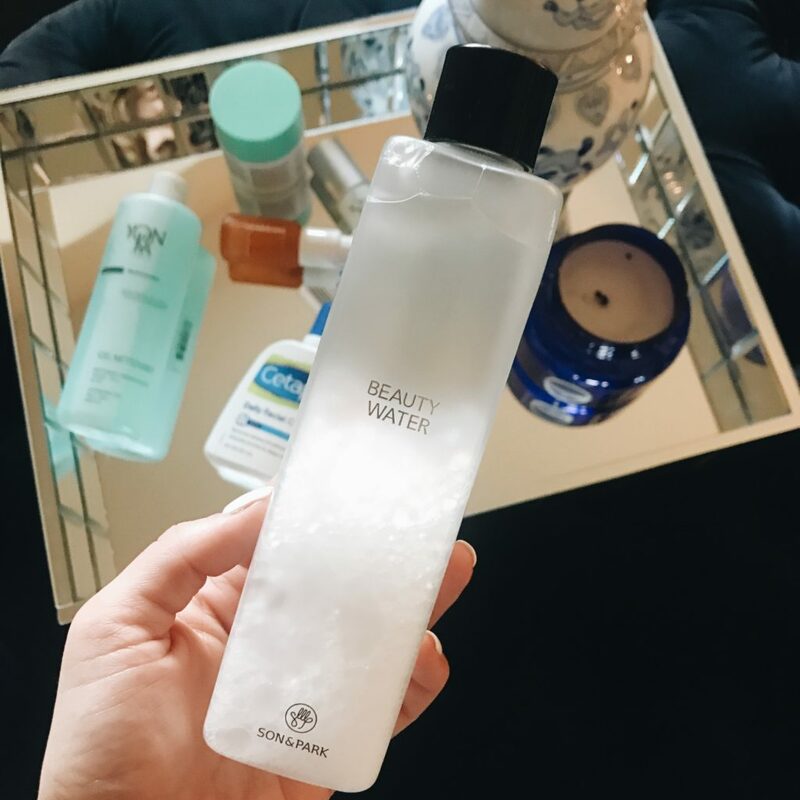 Night only: After I use my beauty water, I use this hydrating serum by Yonka. It is a long-lasting hydrating serum that prevents visible signs of aging caused by dehydration. This product is pricier which is why I only use a little of it at night. If I’m being honest I don’t always use it as much during the summer unless my skin is really needing it! I tend to reach for this one more in the winter time. It is an incredible product and because their products are so concentrated, a little goes a very long way! Morning & Night: Lastsly, I use this protein moisturizer by Drunk Elephant twice a day and am obsessed with it! This product helps the overall appearance of my skins tone, texture, and firmness. This is a product that I CANNOT live without. Even if I only have time to quickly cleanse my face and use this moisturizer, I always make sure to! This is a product I would recommend to anyone because it’s good for all skin types. It’s also made with natural and clean ingredients. Now I want to try out some of their other products! I will keep y’all posted if I find new favorites. Tula Skincare is another brand I would highly recommend. They carry two of my all time favorites masks that I actually like to use together! First, I use the Exfoliating Treatment Mask that detoxifies and gently exfoliates your skin leaving your skin clean and hydrated. 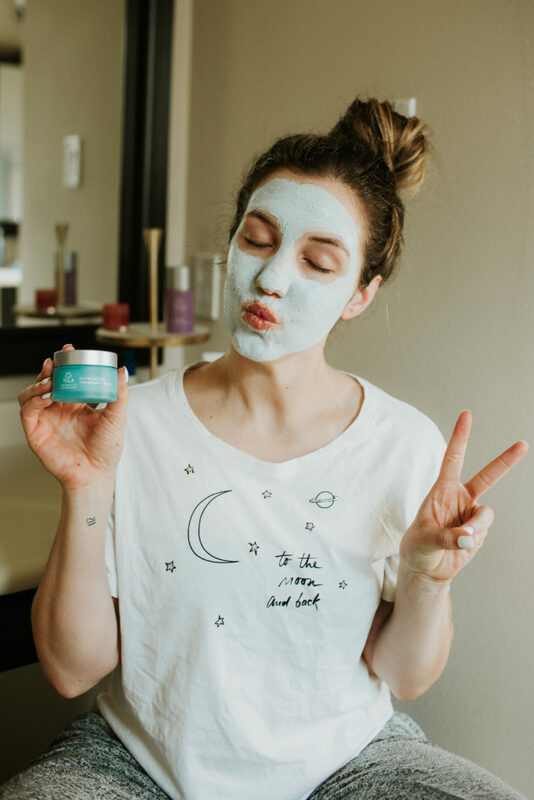 Then I like to follow up with the Kefir Ultimate Recovery Mask that deeply nourishes to help skin recover from dryness or distress. 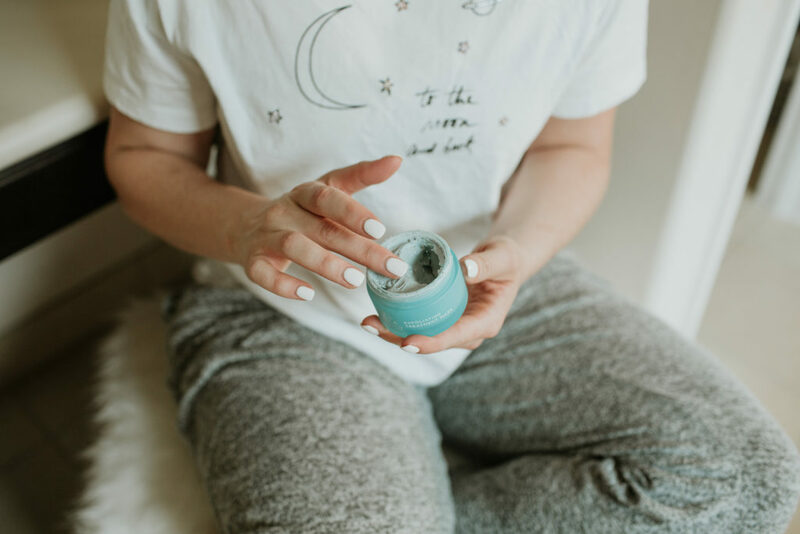 Unlike the exfoliating mask, this one you wipe away with a tissue or towel, and rub the excess into your skin so it can soak it up throughout the night. It’s an amazing combo! !